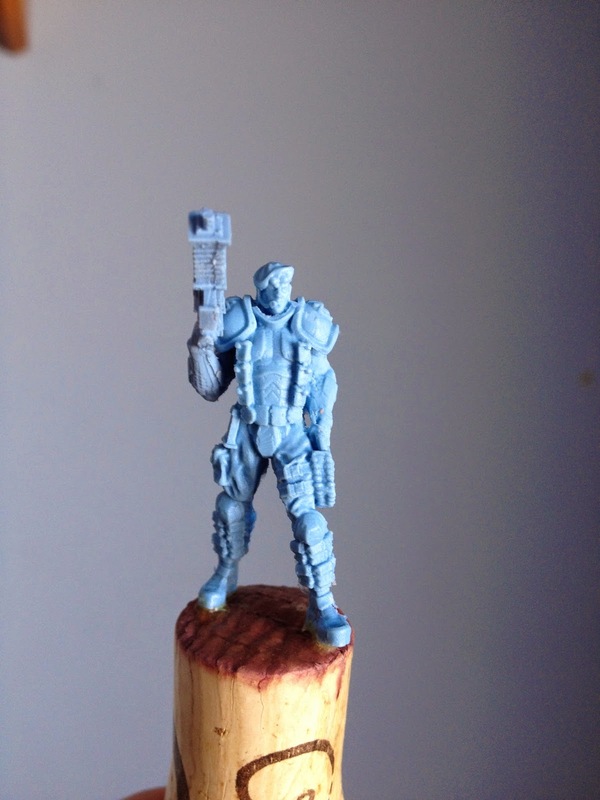 Nothing But Sixes: Hobby Update: The Heroes of Mars Attacks! Yet another busy week. I haven't done anything crazy in terms of hobby progress, but I continue to whittle down the giant box of Mars Attacks! Kickstarter stuff I have in my room. This week I finished up the last of the Martians from the starter set as well as most of the heroes. I still have some terrain bits, Edwynn, Deke, and Ashley, and then I'll be finally finished with my first starter set. Hopefully by then I'll have more time to some games in and post some pictures of the fully painted set. I also got my Imperial Doomtrooper models for Warzone Resurrection in the mail this week. I'm still waiting on the Imperial Starter Army and the rules, but from these two figs, the level of detail is insane. The scale is a bit bigger than most other figures in my collection. Under normal circumstances I avoid larger scaled figures, but these ones look spectacular and I was a fan of the original Warzone game so I can make an exception. The painted Mars Attacks! collection thus far. The first wave of the Martian invasion. 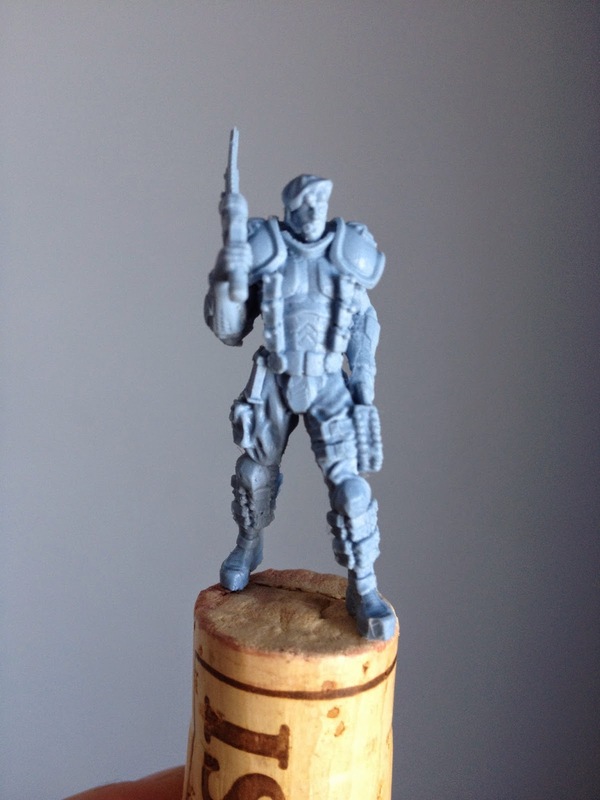 Beautiful figures by Prodos Games.